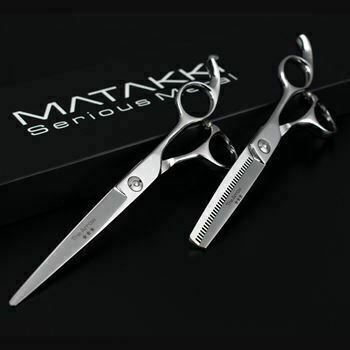 Matakki are innovators and leaders in professional scissor designs and at the forefront of technology! The Matakki Reaper is constructed from premium Japanese Hitachi 440C steel with a Rockwell Hardness of 62 which enables our technicians to create a super sharp convex cutting edge. 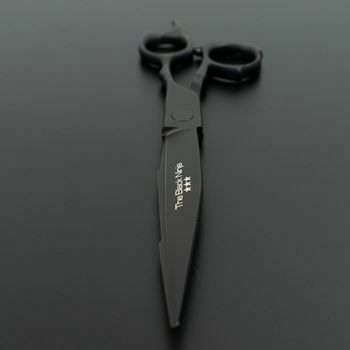 We finish the scissors with a special black titanium coating to add style and to protect. The Reaper scissor has a life span of between 15 to 20 years (if serviced properly) so you are guaranteed many years of service (if loved and cared for). Matching Reaper texturizing scissor and professional scissor set available, also comes in left handed scissors too.